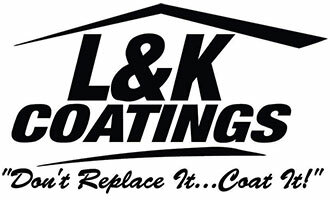 L & K Coatings LLC uses Conklin's Metal Roof System (MR) which starts at the root of your problem. We neutraluze the rust, essentially eliminate all of your screws, seams, and protrusions with our fabric and coating techniques. Then we seal your entire commercial roof with Conklin's Polyurethane Modified Acrylic Coating (PUMA XL). This leaves you with a totally seamless roof system that carries an 18 YEAR NON PRORATED WARRANTY. Giving you a green energy efficient roof that willl save you money! The Conklin MR System protects your metal roof from the elements with a highly durable, seamless membrane. Stops leaks where they occur most by sealing all seams, fasteners and penetrations with a combination of the best acrylic elastomeric coatings on the market strengthened with fabric reinforcement. This ensures that the elements can't get to your most valuable items.